As we wrap up 2018 and reach the pinnacle of the holiday season, the theme of family and togetherness is abundant. While taking time off to appreciate your immediate family, don’t forget to share some of that holiday love and cheer with your small business family and community. Many of this month’s events are about getting to know the faces of your small business community, in addition to all the great relationships and resources they have to offer. So go ahead and throw that company holiday party, but also consider inviting your employees and partners to get together and experience one of December’s awesome events. What it is: A seminar designed to aid small business owners and entrepreneurs in growing their customer base and revenue — Presented by Strategic Business Consultants & The Vegalism Show. Why it’s worth attending: The seminar begins by walking attendees through the steps of starting a business, beginning with the fundamentals such as: How to Develop a Business Model, How to Add Value, and How to Market Your Business. Although the seminar is centered on the theme of Creating and Retaining Customers, topics such as Patents, Trademarks, Copyrights, and Legal Business Issues will also be covered. Don’t forget your notebook – this seminar is jam packed with useful information! What it is: A one-day conference where entrepreneurs can learn strategies for starting and growing their dream companies. Why it’s worth attending: Learn from the founders of successful startups on how they got started, how they grew, and what they learned in the process. Among the carefully selected group of keynote speakers, you will hear from: Alex Chung – CEO and founder of Giphy, and Suzy Batiz – CEO and founder of Poo Pourri. Meet executives, investors, startup experts, innovators, as well as potential partners and collaborators. What it is: A workshop for those interested in owning a business, where to begin, how to build a plan and how to find funding — presented by Operation Hope, organizer of free small business development workshops. Why it’s worth attending: Financial wellbeing coach Laura Sims will provide hope for aspiring entrepreneurs by unveiling ways around obstacles, such as access to startup funding, business training and many other resources that are difficult to locate in underserved communities. What it is: A class that teaches the fundamentals of QuickBooks for beginners as well as those who need a refresher on the basics. Why it’s worth attending: Learn how to track, organize and manage crucial aspects of your business with one powerful tool. QuickBooks is full of potential that might be difficult to unlock without step-by-step guidance – learn how to use a life-changing tool by attending this free course! What it is: A conference focused on providing new growth strategies and tactics for B2B and B2C marketers. Why it’s worth attending: Speakers include growth marketing experts such as Mayur Gupta from Spotify, Kady Srinivasan from Dropbox, Scott Brinker from Hubspot, and Samantha Goldman from Lyft, plus more. Join in on high-powered networking sessions, on-demand video learning, and certified growth marketing workshops. What it is: One of America’s biggest events for entrepreneurs and small business owners. The Expo provides workshops, networking, and the potential for obtaining leads and funding. Why it’s worth going: Small businesses can gain insight, direction and resources by joining in on what the Expo has to offer: 1-on-1 support from experts in a variety of industries, speed networking, a casual networking lounge, small business roundtables, as well as workshops, expert presentations on the main stage, and a vendor hall – all followed by a “beer and biz” happy hour. Houston, Texas is the country’s 4th largest city, booming with technology, capital and endless resources for entrepreneurs and small businesses. The Expo will highlight why Houston has provided a superb foundation on which small businesses can grow and flourish. What it is: An event where small business owners can get to know each other and learn which current issues are having the greatest affects, good & bad, on local businesses. 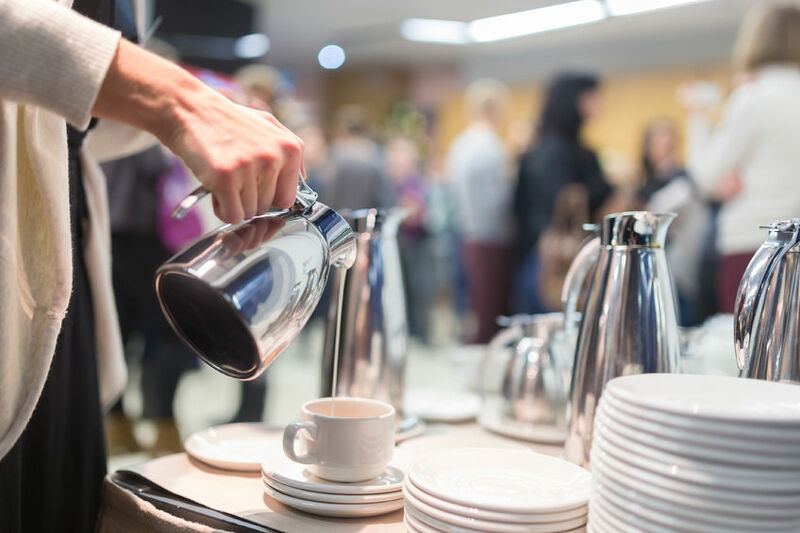 Why it’s worth attending: Since 1985 BNI (Business Network International) has been bringing small business owners together to network, discuss business, and share referrals – this is a great opportunity to make a deeper connection with local small businesses. Prime Media Consulting is an expert marketing agency for small and medium sized businesses. They specialize in SEO, PPC, user experience, social media and much more. Topics that will be discussed at the event include marketing, advertising, taxes, and legal. What it is: 1 Million Cups is a community support group for early-stage startups and small businesses. Smaller chapters of the nationwide program meet regularly to unite and support local entrepreneurs. What it is: One of America’s biggest events for entrepreneurs and small business owners. The Expo includes workshops, networking, and the potential for obtaining leads and funding. Why it’s worth going: The Expo offers 1-on-1 support from experts in a variety of industries, speed networking, a casual networking lounge, small business roundtables, as well as workshops, expert presentations on the main stage, and a vendor hall – all followed by a “beer and biz” happy hour. Attendees will also discover just why Austin’s business community is an increasingly welcoming environment and a deeply supportive city where entrepreneurs and small business owners can thrive. What it is: A Quantum Success Workshop for Entrepreneurs, Business Owners and Independent Agents. Why it’s worth attending: Attendees will hear from global branding expert, Ray Perez, about: How to launch, grow and scale a successful business; How to monetize social media; How to attract potential investors; and, How to improve your public speaking skills. What it is: A course that will teach you how to get good credit, keep it, and why it is important to maintain a good credit report. Why it’s worth attending: Instructor Lionel Davila is the Lender Relations Specialist and Veterans Representative for the U.S. Small Business Administration (SBA) for the San Antonio District Office. He is highly qualified to provide up-to-date information concerning methods to maintaining good credit for small, developing businesses. What it is: Steve Lyons, “serial entrepreneur, author, model and actor”, will be doing a meet and greet as he promotes his book “How to Crush it at Life”. Why it’s worth attending: Steven Lyons, CEO of the Lyons Company and Lyons Capital, is an experienced entrepreneur with a reputation for investing in tech companies and answering business questions on his The Steve Lyons Show. His mission is to help small businesses improve by sharing which methods and tactics have and have not worked for him through his entrepreneurial journey.